Deep Batting Line-up for the Aussies coupled with a couple of Super fast bowlers......biggest problem will be where to bury the Pakistanis ! I wonder if Chris Lynn will keep parking them on the roof of the Gabba? Scorchers and Heat both found it difficult to go over the boundary at the GABBA in the BBL recently, tends to suggest that the same might apply in a ODI. We'll see, hits along the ground seem to be the way to go a this venue. Whoops, Smith out for a golden duck. Chris Lynn is fairly experienced at parking it up there. I was expecting warner to do something stupid but not smith. Pakistan is doing exactly what they need to do, now they need to keep at it. Heads got a good head on him and Lynn needs to do what he normally does. Didn't take long for head to get sick of running....few boundaries now, hopefully Lynn starts smoking a few, G R E A T entertainment these lads! Wow, didn't see this coming. Can Jimmy finish this one with about 30 overs to go? Looks like I should prepare to eat my words. PAK will struggle to bat on this strip as well. Plenty of time yet. I think the Aussies went into this a little complacent. Smith in the pre-match said that they will run PAK ragged in the hot sun and then look to bowl them out. With Maxwell and Wade in at 5 down before the 20th hopefully they have woken up. 2002 Last time before this Australia lost half their side for a lower score in ODIs v Pakistan - also at the Gabba. They were 65/5 on that occasion. 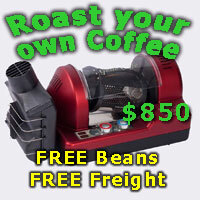 i thought it was a done deal.....maybe I put the mockers on the Australians. Hot conditions, its 39 at my place, they say 33 online. its sizzling out there in the middle by the look of it. Has to be distracting though, good weather for the Pakistanis. So Maxwell proves his point with a 50, please don't throw it away. I'm glad someone waded in. Not tooo shabby total, a bit better than a Big Bash score... just. Big Bash has ruined the game. Losing interest in ODIs because they have the same mentality. I tend to agree Rocky, don't mind the concept, hate the Munster music, balls of flame and amateur dancers tripping over their own feet, trying to imitate the Yanks razzle dazzle bullsh*t and doing a poor job of it, surely not difficult to come up with an original Aussieconcept for an Aussie game, or perhaps it is. I know! the games origins are Anglo Saxon. Showing our age ain't we? Brewster and Smee like this. A cumulative audience of 9.65 million watched the matches in Australia, out of which 39% were females. The BBL Final was watched by an average audience of 1.79 million, which peaked at 2.24 million viewers. This was the first time that the ratings for a BBL match crossed the 2 million mark. ...In 2015–16 season too, the attendance figures continued to be broken across all the venues. The Big Bash League also entered into the top 10 most attended sports leagues in the world with respect to average crowd per match. Maybe it's just a fad. Unfortunately that's the problem, it's all about money. I doubt its a fad, the trend will continue. 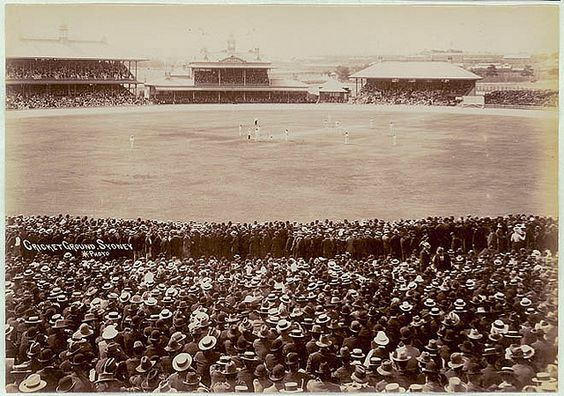 Big crowds at cricket ain't a modern innovation, pic below SCG circa 1900-1910. Brewster, LeroyC and Smee like this. Done and dusted, easy win. noonar and Smee like this. Poor battinging by the Aussies never the less. The Pakistanis have some talent on its way but they need to polish them up a bit. Pleasure watching with you all.....tomorrow we can do it all over again. One of those stoooopid dancers distracted a fielder in the BeanBay the other night, could cause an accident. Should be banned. OH&S issue if I've ever seen one, couldn't give a crap about the dancer but don't want to see a cricketer injured.